Today I am showcasing the gorgeous new Bella! Seaside Collection. 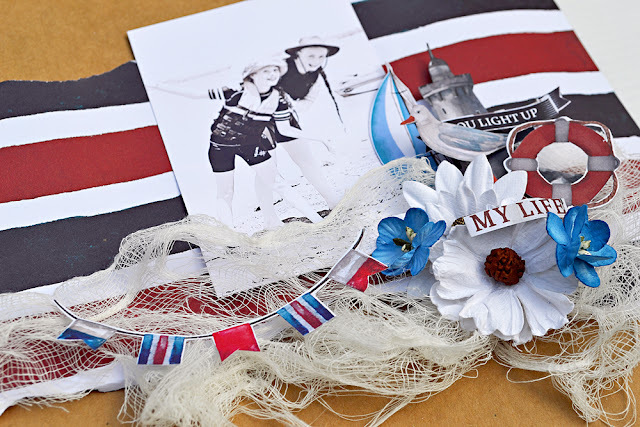 This collection is so much fun with it's nautical colours and sea side elements. 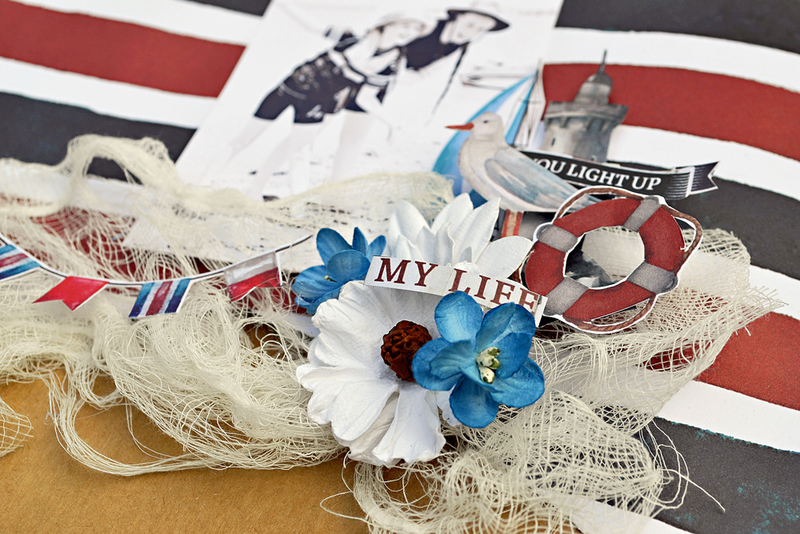 Red, Blue and White are always a striking combination! A recent trip to the lake for a day of water skiing and shore line shenanigans provided the perfect picture. My girls always "Light Up My Life". Start by ripping a piece from Stripe Patterned Paper and attach to the base Kraft Cardstock. Add some gauze along the bottom edge of the photo. 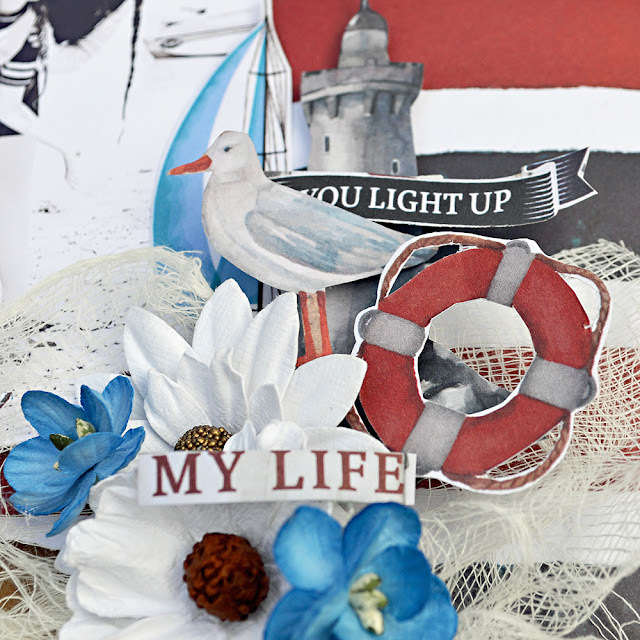 Fussy cut elements form the Cut Outs Patterned Paper - sea bird, life buoy, sail boat, flag banner and word sentiment to create the title. Also fussy cut a light house from the Lighthouse paper. Attach the sail boat along the right hand edge of the photo. Layer the light house over the top - attach with foam tape to create a little dimension. 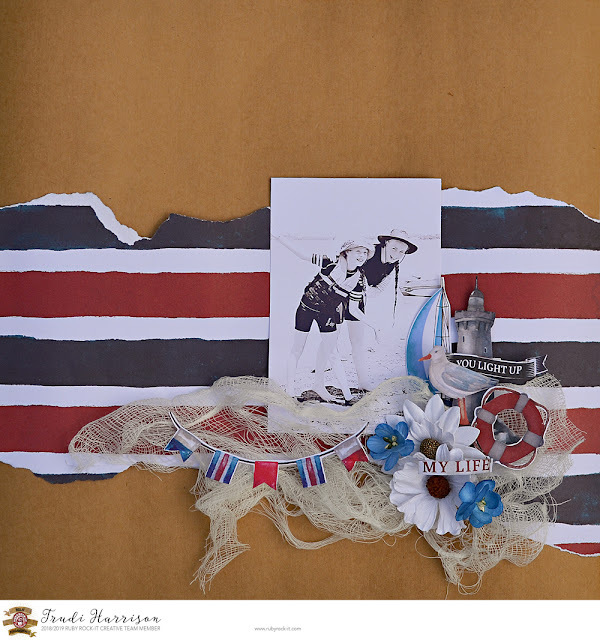 Add some flowers, attach the flag banner over the gauze and finish off with adding the word sentiments for the title. Labels: Bella Seaside Collection, Layout, Ruby Rock-It!